Blogger tips blogging tools cloud cloud hosting milesweb cloud Web Designing web hosting Why Should You Upgrade From Shared To MilesWeb Cloud Hosting? 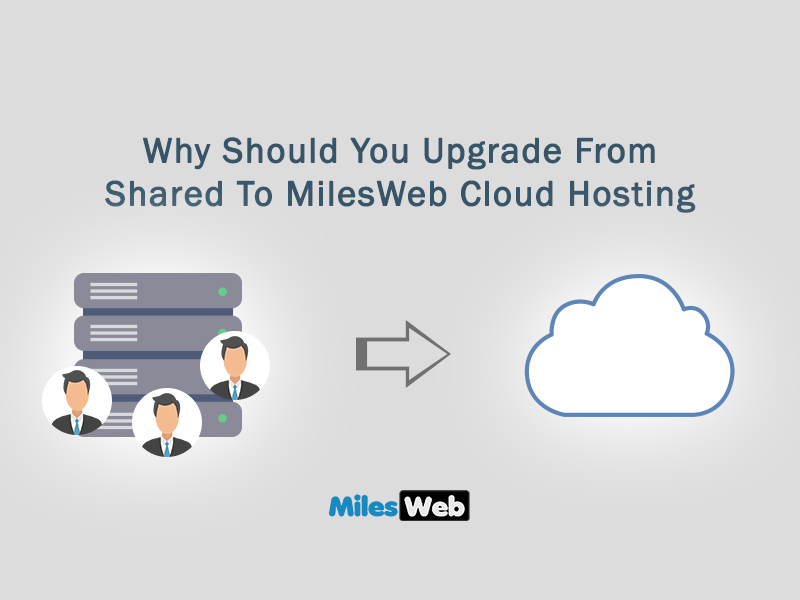 Why Should You Upgrade From Shared To MilesWeb Cloud Hosting? In web hosting industry, there are two most popular types of web hosting solutions: shared and cloud hosting. No doubt there are many, but these two are most searched and preferred types of hosting services. Both the solutions have their own uniqueness and advantages. If you have started with shared hosting then it is obvious that you will experience traffic on your website in future. At that time, you need to upgrade your shared hosting plan to any other hosting solution. Your hosting provider will suggest numerous plans such as VPS, dedicated and cloud hosting. Your job is to select the right plan to host your website. In this post, I will share why you should upgrade to cloud hosting. What is Shared hosting and Cloud hosting? Shared hosting is the most common hosting plan available in the market. It is perfect for small businesses that have low budgets. In shared hosting, your website is hosted on a single server. All users on shared hosting share the resources like bandwidth, CPU, memory and disk space. MilesWeb Cheap Shared Hosting plan starts at Rs. 699.30/ yr. Cloud hosting is the popular hosting option in the IT industry. It is perfect for new and existing businesses. It offers many advantages like performance, security, scalability and reliability. 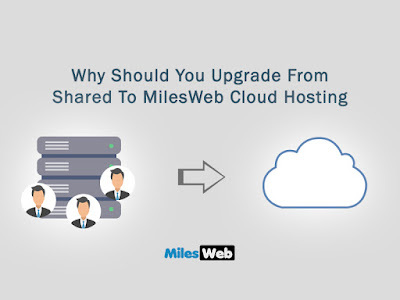 MilesWeb offers a cloud hosting solution at 0.11/- Hr along with the superior features. MilesWeb was established in 2012 and their office is located in Nashik, Maharashtra. They aim to provide all kinds of hosting solutions at an affordable price. Similarly, Cloud Server Hosting is also one of the most selling hosting solutions in their product list. If you are a developer or start-up, MilesWeb cloud is the ideal solution. You can try their service for one month as a free trial without using your debit card. You can consult with their cloud support team anytime 24*7 via chat, email and phone. You don’t need to work manually to scale your application in the cloud. This saves your resources and money. Moreover, you don’t need to pay for unused resources without any hassle. · Auto Vertical Scaling: This feature helps to organize the maximum RAM and CPU to meet the current demand of the application. · Auto Horizontal Scaling: You can add and remove the web application server nodes in your existing environment with the help of triggers. · Even Traffic Distribution: Your website traffic is distributed between the server nodes that enhance the processing request and allow to handle the request without any failures. · High Availability: You can copy the data on separate cloud instances in the similar cluster with multicast. This will not affect your service and your website will remain live all the time. 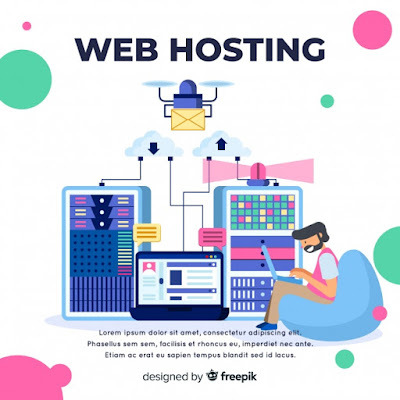 All servers on cloud hosting are connected to each other and this leads to smooth functioning of the website all the times. This kind of virtualization guarantees maximum performance, uptime and productivity. Whereas in shared hosting, if any user on the server is utilizing high amount of resources, this might affect your performance and there will be a shortage of the resources. The computing pattern of shared and cloud hosting is far different. In shared hosting, all the resources are pre – defined and for more consumption of resources, you need to upgrade your account. Here you can’t scale your resources to manage the heavy traffic on the website. In the cloud hosting, you will get scalability feature that allows you to scale the resources as per the requirement. If your site is receiving heavy traffic you can ask your provider to increase the amount of resources and vice versa. Moreover, cloud hosting provides multiple benefits over shared hosting such as affordability, reliability, customization and more. Most of the shared hosting providers commit to offer adequate speed. But somehow it is not possible due to multiple websites hosted on a single server. The speed of the website may get affected due to a large number of websites present on the same server. In terms of speed, cloud hosting platform automatically allocates the data on multiple servers. Because of this, the speed of the website remains constant and won’t affect the performance. However, cloud hosting not only improves the rankings, but also impacts the conversion rate. It also offers great user experience on your website. Almost every hosting provider offers security for all types of hosting solutions. Similarly, in shared and cloud hosting you get security. The best hosting provider offers high end security protocols for frequent security threats such as malware, DDos attacks, cross – scripting and more. However, all these security threats are never ending and unpredictable. Therefore, it is suggested to opt for cloud hosting instead of shared hosting. In shared hosting, risk of threat is more due to multiple websites hosted on a single server. Even a single malicious file on the server can affect the performance of other websites on the server. This usually happens when hosting provider doesn’t configure his servers or you haven’t updated the software or plugins. In cloud hosting, it is completely opposite because of a small number of users. In comparison to shared hosting, you will get superior and guaranteed security features in cloud hosting. The days are gone when cloud used to be costly and people used to hesitate to buy cloud hosting. The cost of shared hosting is affordable that is the universal truth, but now cloud hosting is also available at affordable rate. The cloud hosting is witnessing the real growth and that is the reason, why most of the business owners are adopting the cloud. The reason behind opting for cloud hosting is the strong backup and if you have purchased the cloud hosting, by default you will get the backup feature included. In cloud hosting, mirror copies of your website’s data automatically get allocated across multiple devices. By chance, due to failure or disaster, you can restore your data on the server. This article is enough to know why cloud is the best option as compared to shared hosting. MilesWeb offers superior cloud service and support to your website. Found this article interesting? Do share in your social networks. Tags : Blogger tips blogging tools cloud cloud hosting milesweb cloud Web Designing web hosting Why Should You Upgrade From Shared To MilesWeb Cloud Hosting? Cloud hosting is the best option than shared hosting. 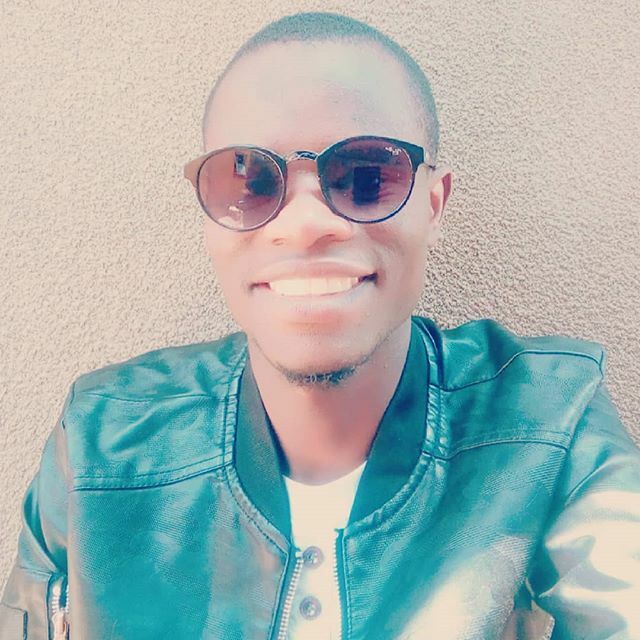 If you're looking for the same, then MilesWeb will be the best choice for you. Thanks for sharing this article. Thanks for sharing such a informative article. Mu website is been hosted with MilesWeb and I am quite satisfied with the type of service they provide. I didn't knew that we can directly upgrade from shared to cloud hosting. This article gives good information on how cloud hosting helps the growing business.